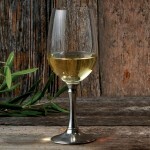 Avignon Chardonnay Wine Glass—1 Stem (P/N GL538). Artisan metalworkers cast and finish each by hand, then polish, brush, and antique to bring out the distressed patina. These glasses are made with a pewter alloy that is food safe, lead-free, and FDA approved. At home in both traditional or contemporary settings. Hand wash recommended. Also available: Avignon Decanter, Avignon Bordeaux Wine Glass, and the Avignon Burgundy Wine Glass. 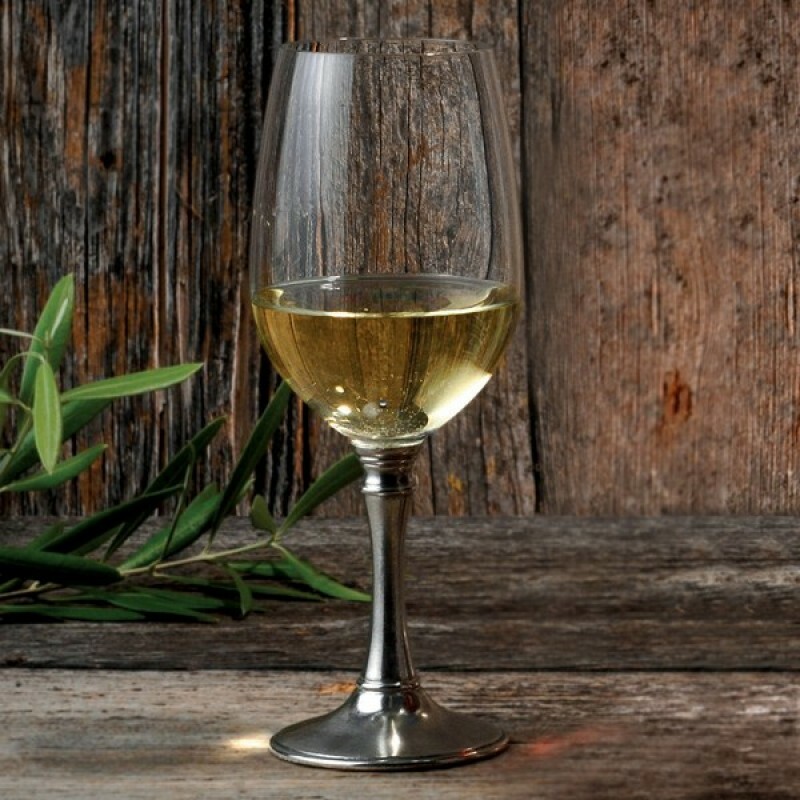 Reflecting an old world elegance, the Avignon Chardonnay wine glass pairs clear bowls with sculptural pewter stems.